Monday morning-9am. We are a small economically diverse group of white males sitting in a log cabin staring at a be-scribbled marker board in the picturesque autumn of northern New Hampshire. Among us a Litigation Lawyer nicknamed Colorado Mike, Niall- a Bio Tech engineer, Steeeeve- a Canadian construction worker, Zach a New York fashion photographer, brought on assignment and another Mike who makes a living selling collectable maps. Tim O’Neal, our instructor and former five-time American rally Champion has been talking for about an hour in complete rally Cantonese. Phrases such as throttle brake ratio, correct, over steer, trail brake and wheel spin under-steer all accompany primitive magic marker sketches. 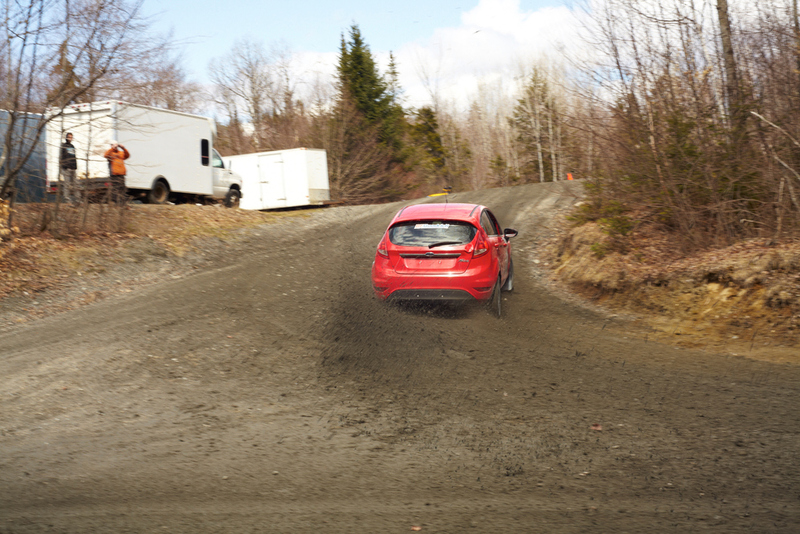 By 10am we emerge onto the muddy skid-pad for our first taste of prized “seat time”. I have written “STAY ON GAS” on the back of my hand in marker, which is about all I can think to retain. 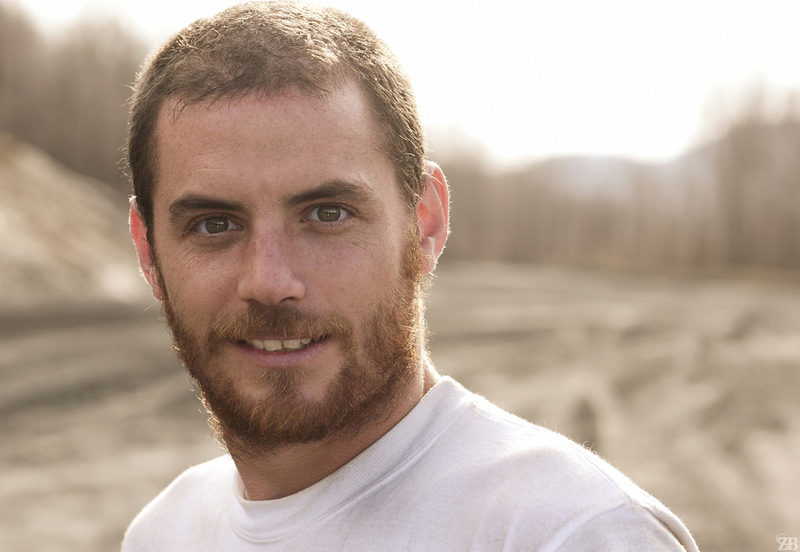 Wyatt Knox, Former American Rally Champion and Chief instructor at O'Neils. This is a dangerous man to go drinking with. The first day of “Rally School” is spent using your left foot to brake and control the car. Controlling a car off road with traction constantly changing is achieved by shifting or throwing the weight of the vehicle onto the portion of the car that needs traction. You brake in the turn to throw the weight of the car into the front "steering" wheels all the while staying on full gas to keep the car moving and the wheels “digging for traction”. It quickly becomes clear that all the present weekend racers and PlayStation champions have major difficulties changing their conventional style of driving. Braking with your left foot feels as un-natural as writing left handed. Staying on the accelerator whilst the car goes into what seems like an inevitable crash feels like sparking up a cigarette on a subway. In theory staying on the brake and accelerator at the same time makes no sense but by day’s end and one overturned car later it starts to feel right. For some of the slow learners there is the "support" of instructor big Mike’s heavy size twelve boot stomping down on top of your nervous accelerator foot as the car veers out of control only to snap violently back into shape once the front wheels are pointed away from danger. On day two we are joined by an Emergency Room doctor named RICK, a return customer that has come with his own Ford Focus. A former student now moving into competition, Rick has come back to use the course as a place for practice as rally car driving must be one of the most difficult things to practice without quickly drawing the attentions of the local police. Tim says most rally drivers have a ‘secret patch” where techniques can be perfected or cars wrecked. As an ER doctor, it seems Rick also finds comfort knowing that if he does crash there are plenty of people around to hear his screams. Colorado Mike and Big Mike from Team ONeil. Lunch is taken at a local Greek pizza place. Canadian Steeeeve admits that he has high hopes of becoming a professional driver but the experience has humbled him and he plans on entering a few local rallies to test the water first. Colorado Mike is a habitual race school attendee. Traveling solo all over the world to perfect techniques in a number of different disciplines he is making very good use of his retirement. But make no mistake this is not a housewife looking to make friends through a pottery class. Mike is very serious about racing. Rick relays a story about a couple brought into his emergency room- the man had hooked his foreskin to the woman’s birth control coil. For America this is a refreshingly un-PC celebration of man hood. We are all coming out of our shells as though this were the second day of kindergarten. Niall is attending for the second time. Inspired by a father that raced rally in Britain when he was young he eventually hopes to become a navigator. Little glory and an exercise in extreme carsickness. “The biotech business has been very good to me. Now I have the cash to fund the legal rush. By day three we are perfecting old techniques and quickly mastering new ones. The pendulum turn or as its known "the swedish Flick" is where you skid the car in the opposite direction of the sharp turn you want to make only to jam on the accelerator mid skid and swing the car around 180 degrees and now pointed in the right direction to make the turn. Trail Braking; coming into hard turns at full pelt, slam on the brakes five meters beyond the point of no return to then modulate the gas and brake evenly through a turn in what could be the closest thing to skid nirvana. By day four I was adding in a gear change during slides and replacing my left foot brake with a right foot so I could depress the clutch for a split second. On day four lunch’s discussion was centered on the humbling experience of learning. It has been many years since most had left school and not being good at something instantly confused and frustrated most. Zach was ready to leave at the end of day two only to recover and have everything click on day three. Everyone had moments where ego wanted to scramble for cover but on the afternoon of day four we were finally unleashed on the greater course with tree’s and drop-offs held firmly at arms length as the cars were whipped through the paces with confidence. One member of the squad was so eager to get back into the drivers seat he ran back from the bushes with a squirt of pee still left in the chamber. He shamelessly drove the course with a wet crotch. As Zach and I drove back to New York we took our time, driving with both hands in the 3 and 9 position and having a little chat with left foot hovering over the brake. I have been going back to Team ONeil to brush up on driving technique since first going there in 2005. I can honestly say I have never learned more about car control and gained more confidence than I have attending their 4 day course. All the instructors really know and love what they are doing and expect to find yourself out in the evenings with the O'Neil chaps. Tim O'Neil, a former five time American Rally Champion and a true champion of the sport here in the US is one of the true gentleman of American Motorsport. 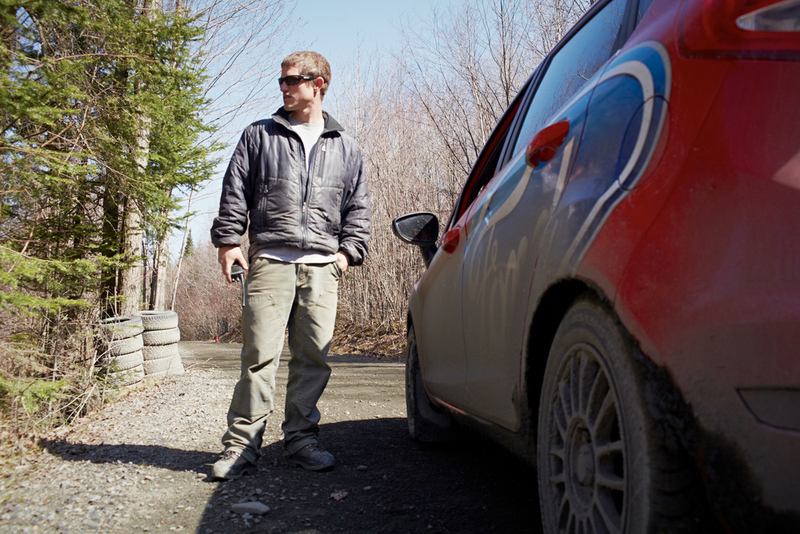 The Team O’Neal Rally School offers off-road racing technique for amateurs and potential professionals. 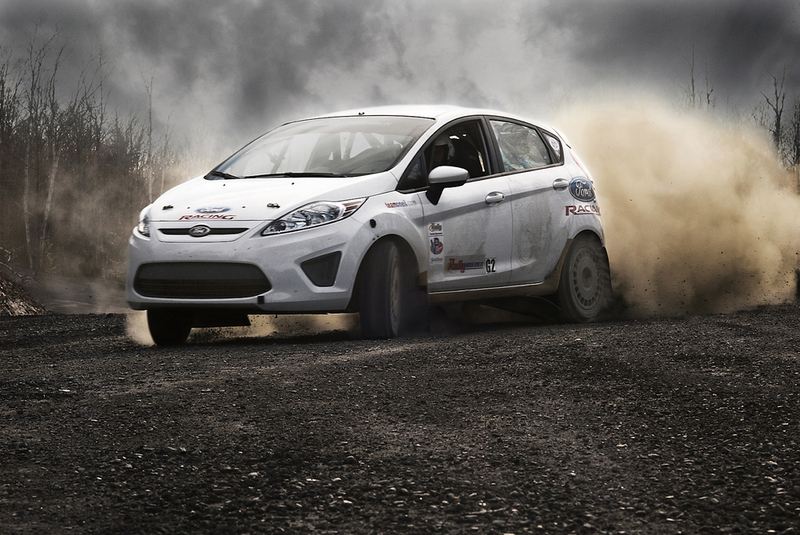 Rally Racing has become one of the most popular sports in the world outside of the US. The WRC (WORLD RACE CHAMPIONSHIP) has 3 billion television viewers and up to 3 million people watching the event from roadside. In brief a driver and co-pilot navigate a race-tuned production car through a series of pre-scouted stages at speeds of up to 140 mph over the course of a couple days. In between stages the cars are driven on local streets and must comply with a series of rules and timings. Failure to do so results in penalties.